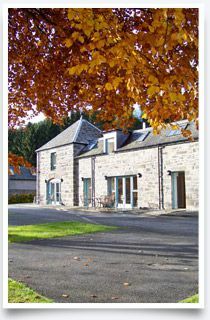 Newly converted farm steading refurbished to a high standard, each cottage is bright and spacious, where every consideration has been given to easy living and comfort. 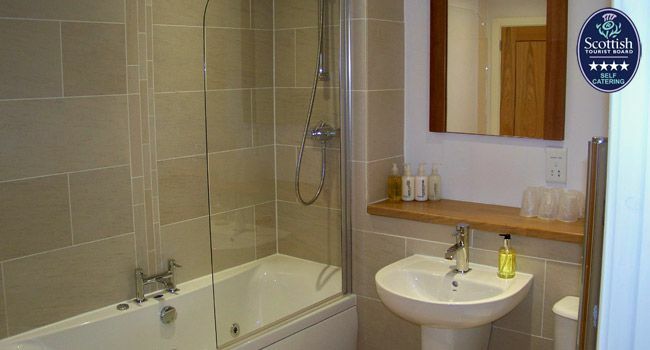 1 x super king double/twin bedroom, en-suite. 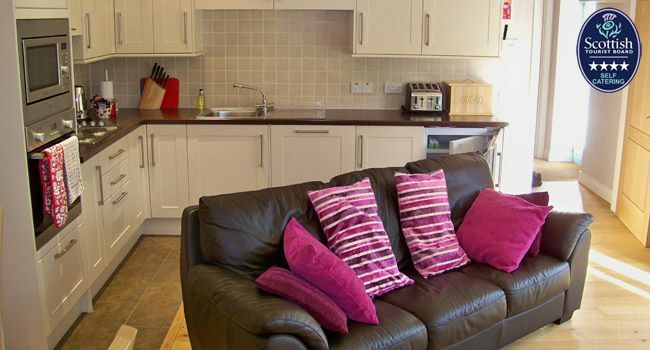 Open plan living room - sitting area and kitchen. 1 x super king and 1 twin bedrooms. Open plan living room with sitting area and kitchen. 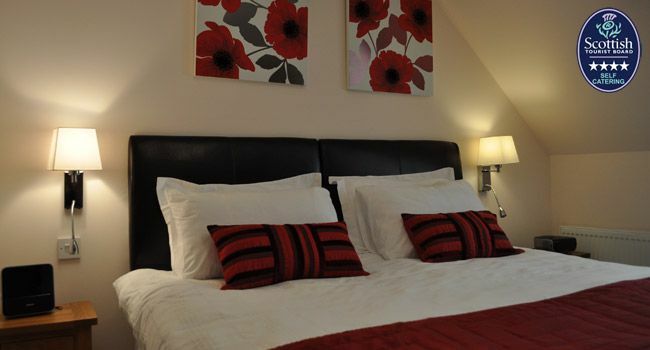 3 x super king double/twin bedrooms, 2 en-suite. Open plan living room with sitting area and kitchen. 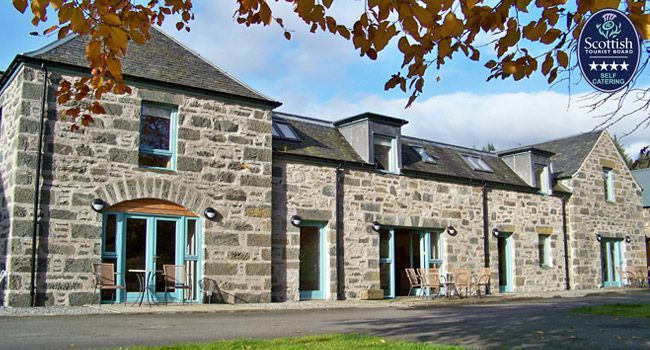 This self catering steading conversion contains three delightful cottages ideal for anyone wishing to holiday in top class accommodation surrounded by the beautiful Perthshire countryside. 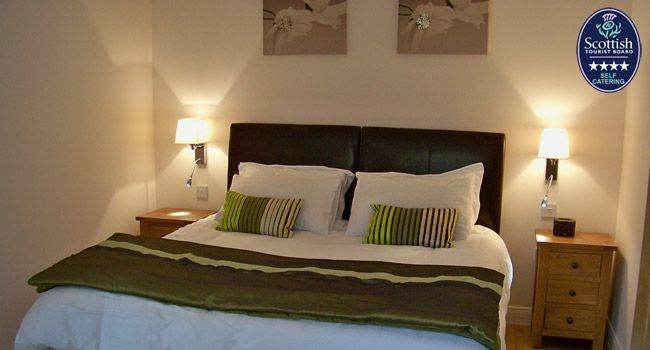 Comfortable bedrooms, open plan living areas with well designed kitchens, together with leather sofas, large flat screen TV, iPod docking stations, and spa baths, make these delightful holiday cottages perfect for families and friends. 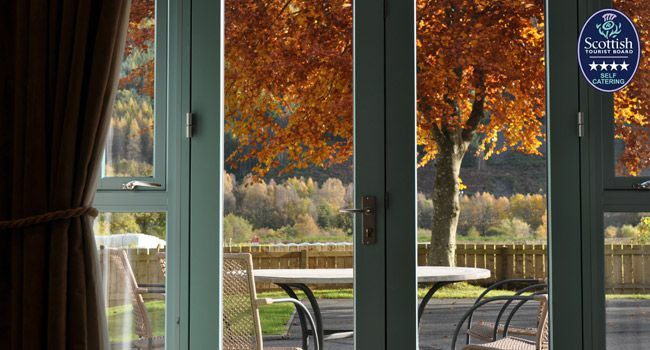 Each cottage has French doors leading out from the sitting area to its own patio area with garden furniture, the ideal location for relaxing and taking in the views. 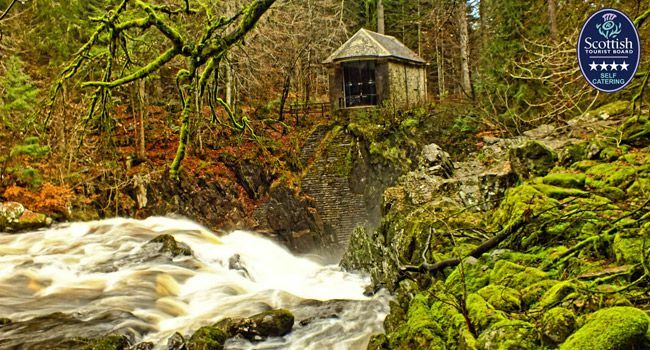 This area of Perthshire has something to offer every one, whilst being one of the Scotland most scenic areas. Renowned for its adventure sports there is everything from white water rafting, kayaking, canyoning, cliff jumping and bugging through to sailing and waterskiing, however for those choosing to use to the water in a more sedate fashion, this area of Perthshire offers world class fishing with the River Tay only minutes away from this holiday house. For walker and bikers there are lots of opportunities to explore some of Scotland’ s fabulous scenery, whilst other guests may prefer to visit the many castles, distilleries, and pretty highland villages, or perhaps some retail therapy with the nearby House of Bruar offering some of Scotland’s finest produce from cashmere to smoked salmon.